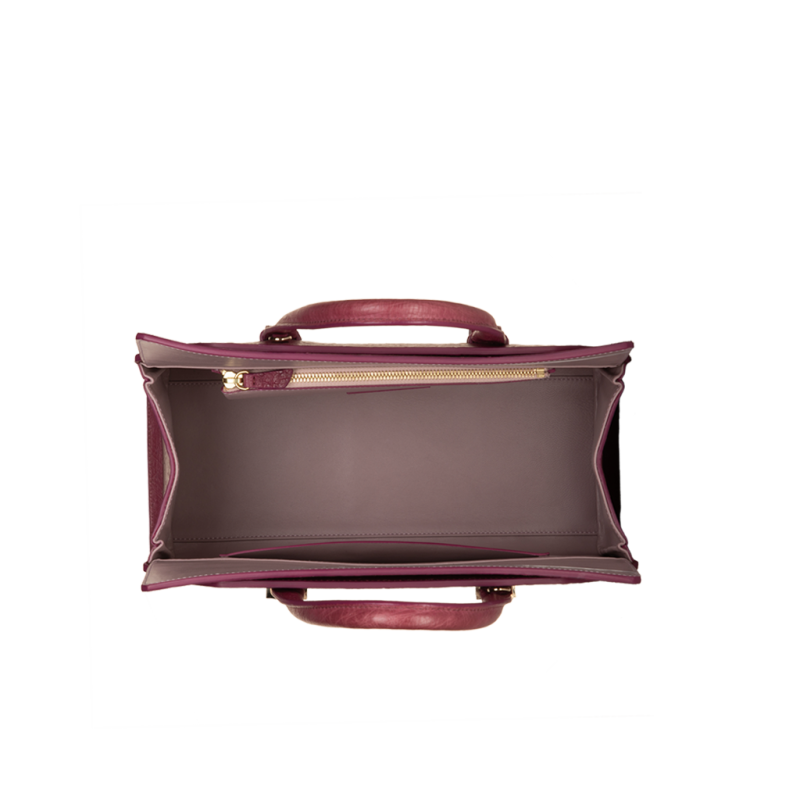 Gold plated hardware with Amethyst. First born of the collection, this handbag is the perfect intersection between natural beauty and modern architecture. 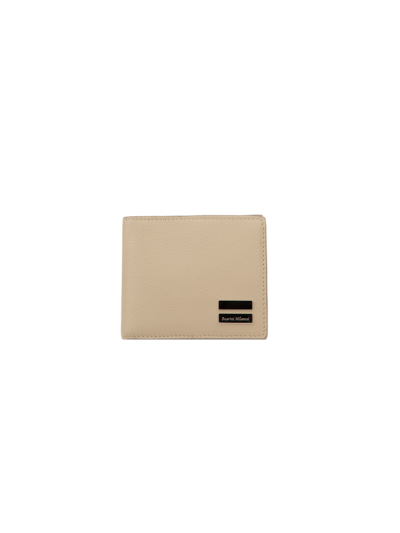 Maestà synthesises the innate symmetry of nature, with a more contemporary silhouette. 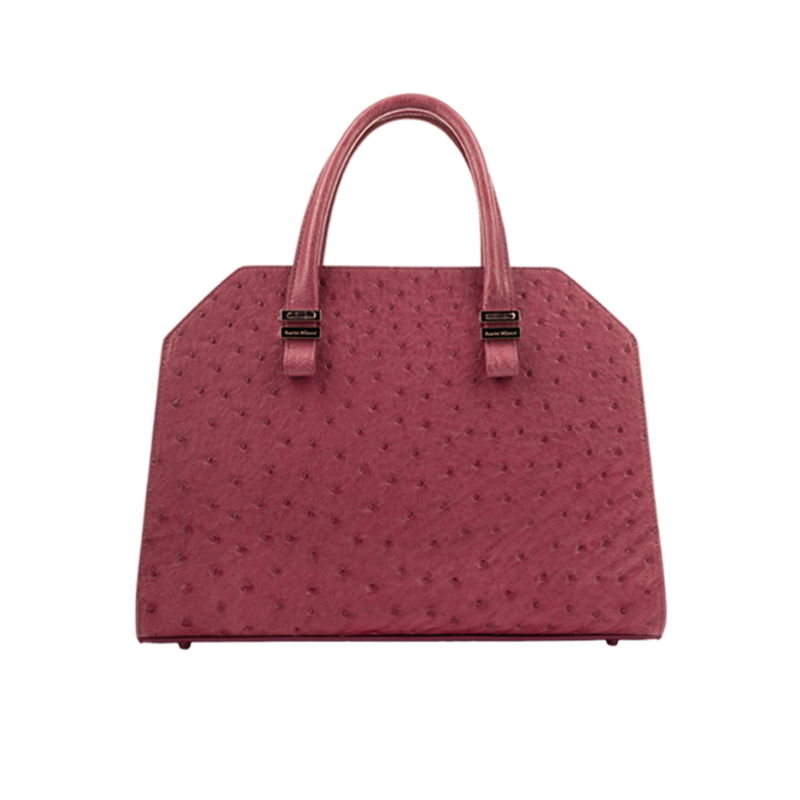 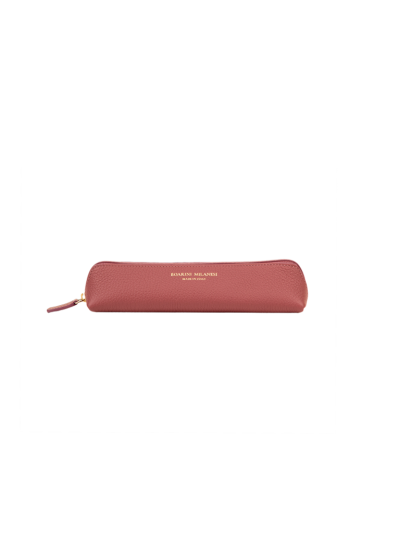 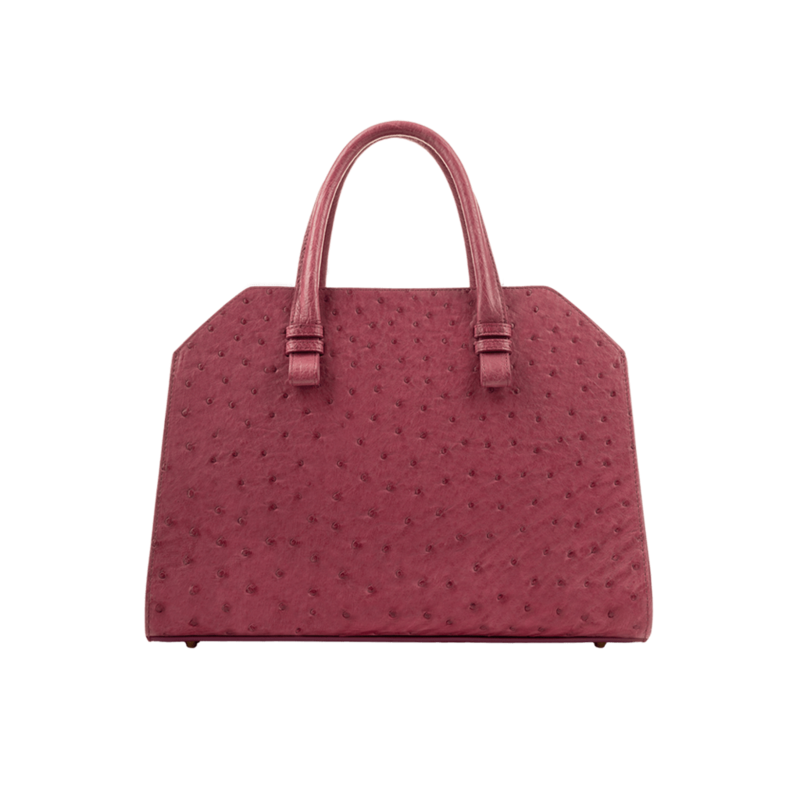 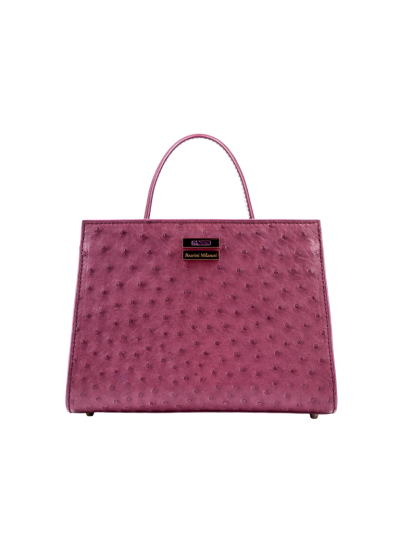 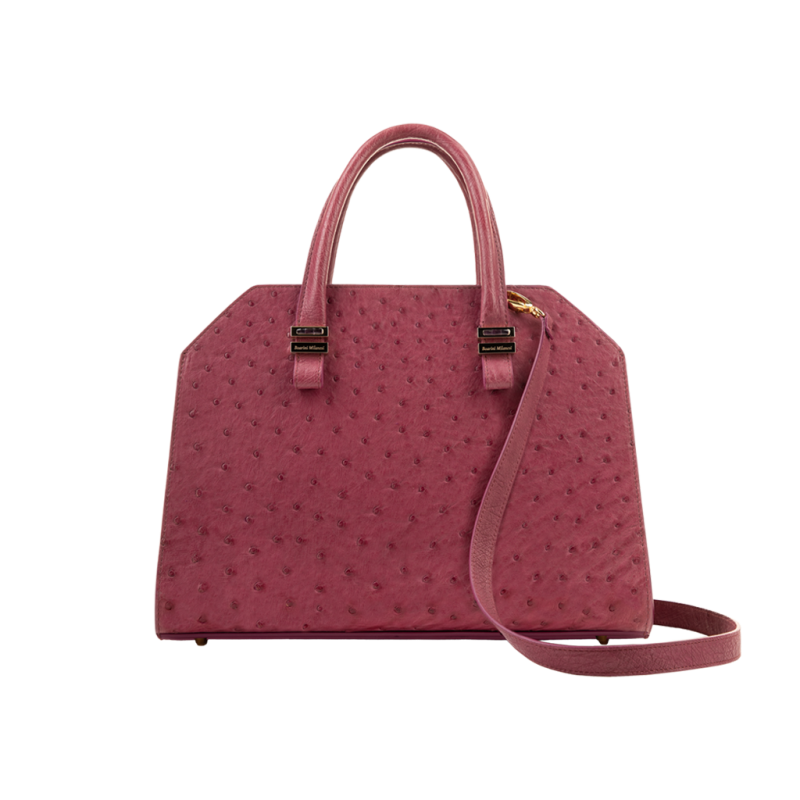 Handbag in precious ostrich leather in French Red. Soft interior in light purple nappa leather with pockets and invisible snap. Gold plated hardware with detail in pink Mother of Pearl.